It’s time to make your bedtime hours count and embark on your own Deep Sleep story. 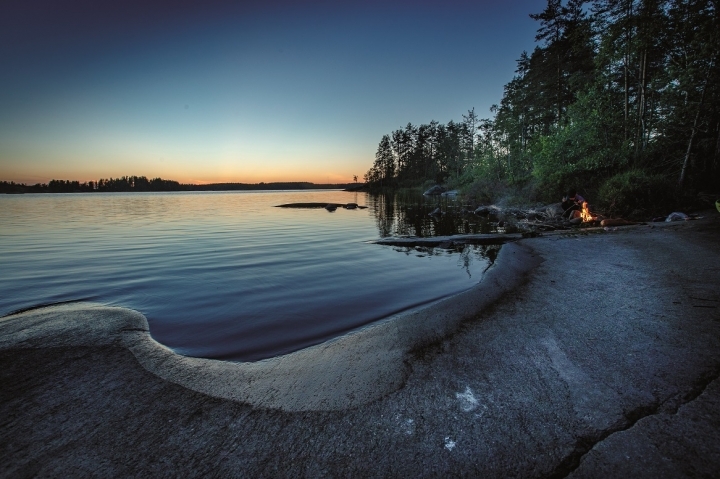 Finland’s lakeland region is the perfect setting to re-learn an effective bedtime routine and embrace Deep Sleep on your holiday. Immerse yourself into unspoilt nature where Europe’s largest lake district offers water therapy in abundance surrounded by dense forests and clean air. Couple this with intoxicating spa rituals, comfortable lodging, foodie experiences and soft adventure, and you have the setting for a Deep Sleep story. Finnish Lakeland is home to more saunas than cars, more cottages than high-rise buildings and more berries you could possibly imagine. Life in Europe’s largest Lake District comes at a slower pace, inviting travellers to explore by bike, foot, SUP or canoe. The thinly settled area stretches from Helsinki all the way to Lapland. 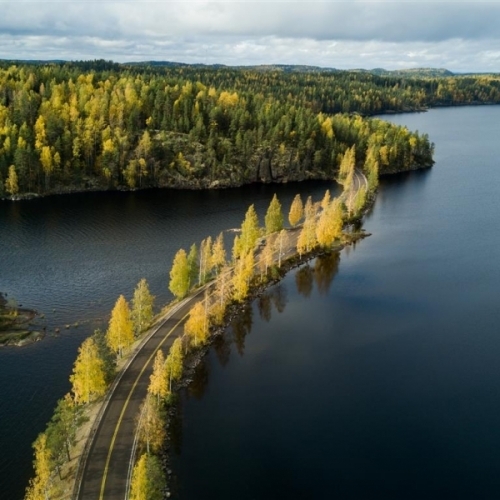 In between, you’ll find brown bears crisscrossing the Finnish Russian borderlands, superb Nordic-style spas, soothing lakeside views and empty forest paths begging to be explored. Helsinki, Finland’s relaxed capital, is the gateway to these soothing wilds. The city of forward-thinking Nordic design, Finnish coffee culture, and urban saunas is a perfect place to settle into a Finnish holiday. 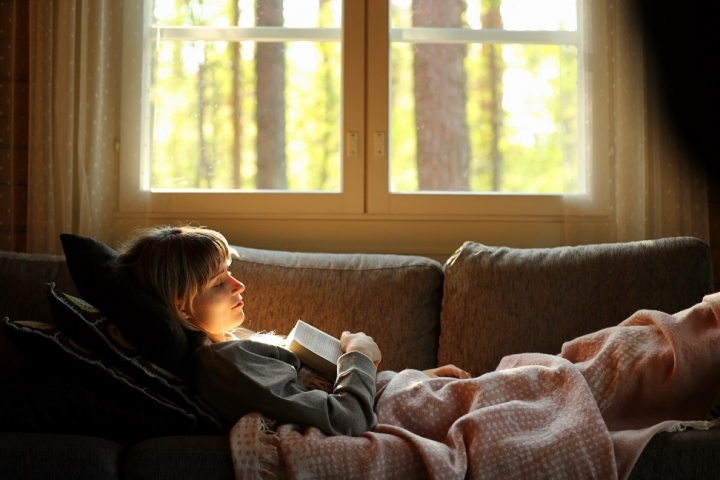 As adults, we may have forgotten the value of a good bedtime routine to help boost the quality of our sleep. So we’re inspiring travellers to explore new routines and rituals to aid deep slumber, like a sauna at twilight or Nordic spa routine practised at a Finnish lakeside cabin. Your trip will be a culmination of moments, views, encounters, tastes and smells which inspire a Deep Sleep story. New experiences and settings have the power to chase away fears and worries that keep us awake at night. So we're helping travellers to engage with their surroundings - whether that’s meeting local people, learning a new foodie skill or embarking on a journey by bicycle or boat. Let nature help you to unwind. Imagine the scent of pine, salty air, rain evaporating from the forest floor and you'll find yourself inhale (did it work? ), reminiscing the last time you experienced it. Being in nature puts our mind at ease, our thoughts drift off, we refocus on our surroundings, thoughts come and go. Finnish Lakeland invites this type of gentle exploration mixing water, forest, wildlife, and a few rolling hills. Our Deep Sleep Signature Stays optimize your chances of good slumber. 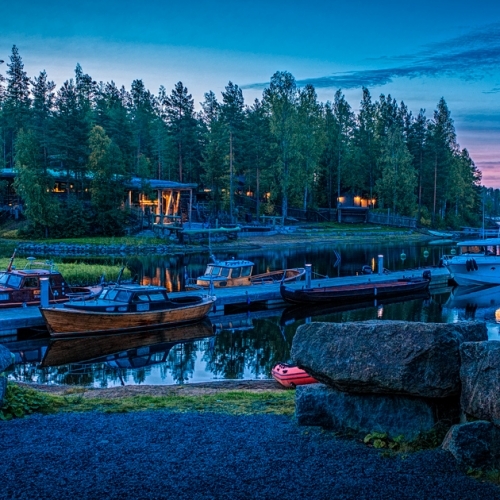 Quirky and unique lodgings await - such as the Finnish houseboat, luxury bear hide cabin, and art and design villas. Water has the power to make us feel present, nudge us to unwind and sometimes teach us a lesson or two. Discover the power of Lakeland, its flora and fauna and the many forms of Nordic wellbeing. Embrace life on the water as you stay in a luxury houseboat by the calm shores of Lake Saimaa, Finland’s largest lake. Allow water to work it’s soothing magic, as you gaze out on the water during a quiet night, SUP the calm waters, or indulge in the indoor spa, just a short walk from your jetty. Curiosity is the secret ingredient for the best night-time stories. Finland's wildlife is here to help. 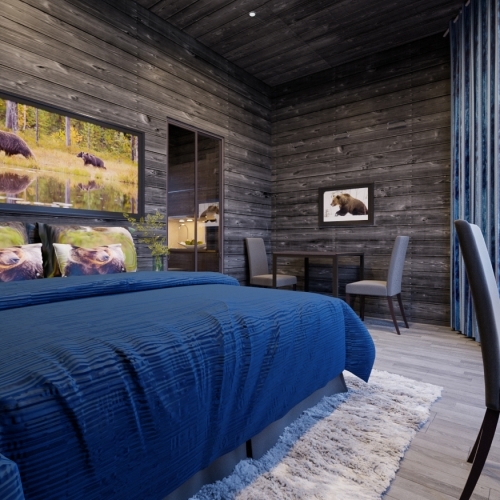 Fall asleep to the sound of wildlife and brown bears cracking through the underwood just outside your boutique bear hide cabin. 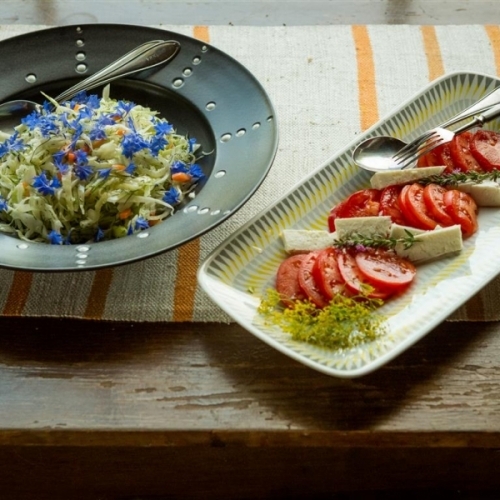 Learn how to bake Finland’s famed rye bread, treat yourself to a post-sauna smoked salmon and perhaps try the recipe for the Karelian pies back home on this foodie adventure. It doesn’t take long to discover that the capital of the happiest country on earth has wellbeing and balanced living engrained into its DNA. 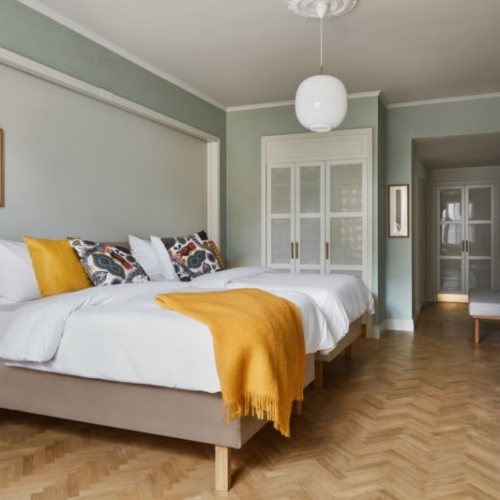 With Nuuksio national park at its back door, and a green spot just 15 minutes from wherever you are in the city, relaxation and Helsinki city life pair well. Embrace the art of urban wellbeing on this cycling wellness break. Luxury by Finnish standards means striking a balance between activity and relaxation, culture and nature, simplicity and boldness. Explore the city on a guided ebike tour and kick-back in recently refurbished design hotel St George. 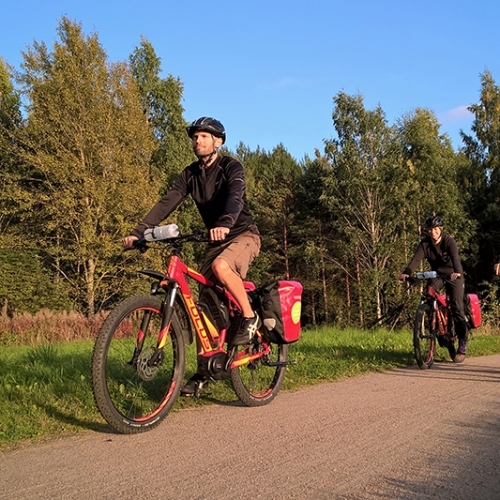 Two wheels, a cottage-dotted national park and an appetite for slow adventuring are the ingredients to a sleep story taking cyclists to Espoo. Hop from cottage to cottage, delving deeper into the forest following well-marked trails which eventually open up to ocean-facing paths looping back to Helsinki. Watch Lakeland's vast expanses of blues and greens fly by the window of your car en route to our hand-picked boutique stays. Mix Nordic spa hotels with classic lakeside cottages and innovative, nature-inspired design villas. 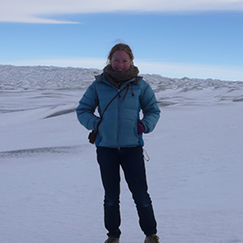 Our team of travel experts are happy to help you plan your perfect trip via phone, email or live chat. Phone lines are open 09:00 - 17:00 GMT (London). The time for us now is 7:59pm. Alternatively email us or start a chat.